Brent Catlett (@catlett1) and Brad MacLaughlin (@IsdBrad) led a great session at #edcampliberty, What Great Leaders Do Differently in 2016. I really enjoyed the discussion. It was everything EdCamp should be. There was enthusiastic participation from the room. Lots of great ideas were shared. In fact, several ideas were actually applauded. How cool is it that educators are gathering on a Saturday morning to discuss leadership and cheer each other on? The session gave me plenty of inspiration for this post. So what do great leaders do differently in 2016? 1. They lead themselves first. Instead of focusing on managing others, they lead by example and model the qualities they would like to see in others. 2. Great leaders take risks. They view failure as an opportunity to learn and grow. Great leaders make others feel safe to try something new. They understand setbacks. 3. 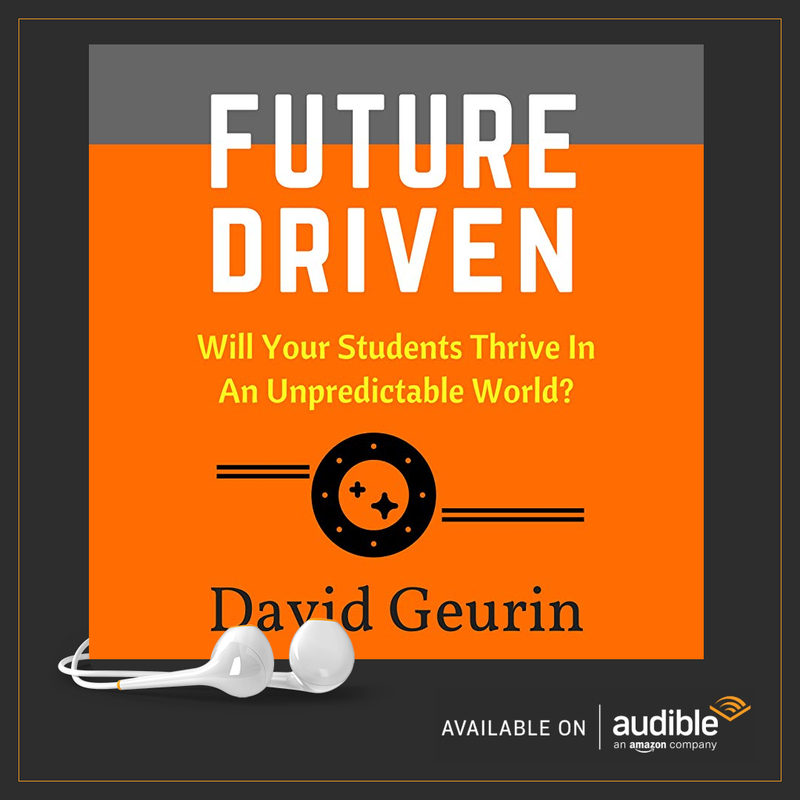 They come from every corner of the school (students, teachers, support staff, etc.—not just admin). Leadership is more about disposition than position. 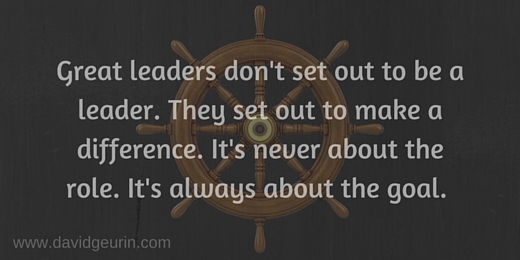 Great leaders help develop new leaders and share leadership roles with others. 4. Great leaders are flexible. They see problems as opportunities. They are comfortable with ambiguity. 5. They are present. The entire school is their office. Traditional leaders might manage from behind a desk, but 2016 leaders can work from anywhere. 6. Great leaders are instructional leaders. They are out of the office for a reason—to be supportive of learning. 7. They are authentic. They admit mistakes. They are self-aware. They know their strengths and weaknesses. 8. Great leaders are digital leaders. They recognize what it takes to succeed in a digital world. They are modeling the use of digital tools. 9. They are quick to give credit. And even quicker to shoulder blame. 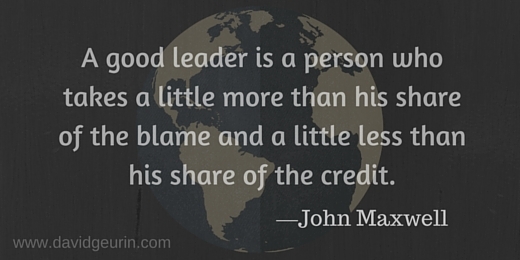 Great leaders share the credit and shoulder the blame. Tweet this image. 10. 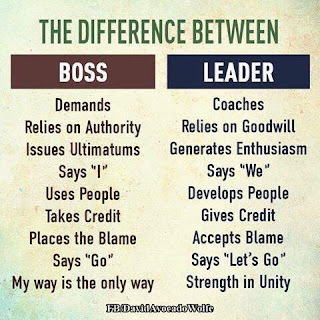 Great leaders know their stuff. They are lead learners. They remain curious and are always seeking to learn. 11. They listen. And strive to understand. They lead with empathy. They lead with heart. 12. Great leaders help others reach their goals. They don't impose their own goals or organizational goals. They start with helping individuals grow. 13. They generate enthusiasm. They have a great attitude, have great energy, and inspire others to be stronger and more enthusiastic too. 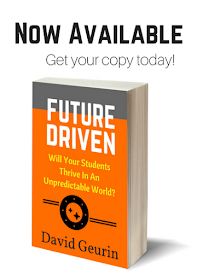 A common theme seemed to be that schools should be 'flat' organizations instead of hierarchies. 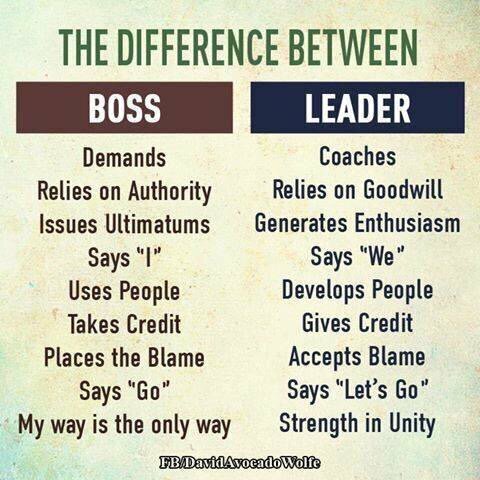 And leaders should be working alongside other team members, in classrooms and hallways, and not separate from them. 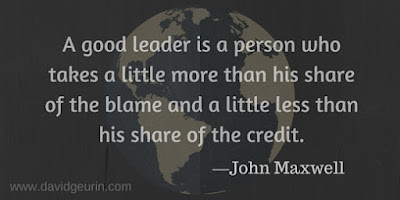 We need more great leaders for 2016 and beyond. Judging by the group at #edcampliberty this shouldn't be a problem! 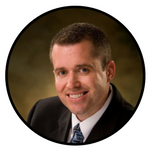 Question: What are your thoughts on great leaders for 2016? What do they do differently? I would love to hear from you. Leave a comment below or share on Twitter or Facebook.